Badger Pass dubs itself the original ski resort in Northern California. Since it’s opening in 1935, Badger Pass has been a family favorite ski resort, with a variety of guest services offered in a stress free environment. Badger Pass prides itself on their affordable ski and snowboard instruction, rental equipment and ski shop, childcare and on-mountain cafeteria and lounge. 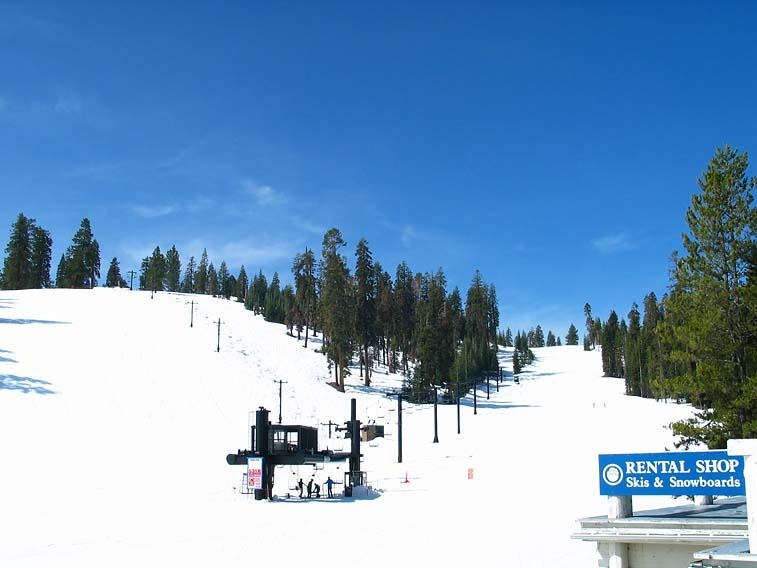 The ski area also features one of the best sundecks in the Sierra Nevada, allowing guests to fully enjoy the California sunshine. Free bus transportation is provided daily from Curry Village, the Ahwahnee Hotel, Yosemite Lodge and the Wawona Hotel. Snack bar, deli, pizza and cocktails at ski area. 3 restaurants, 2 bars in Yosemite Valley. Ski shop, gift shop at area. First aid at area. Yosemite Medical Clinic 22 miles. Skiing programs include, "Sit Ski Instructional Program" for handicapped skiers, Midweek ski lesson packages for those staying at Badger Pass Lodge.